Marcus Phelps, South African junior motocross front runner has arrived in the UK for the first round of the Red Bull Youth Cup national championship due to take place 28/29th April at Landrake in Cornwall. Marcus will be competing in all seven rounds this year commuting between Johannesburg, his home town in South Africa and the UK for each meeting, thanks to his South African sponsors. 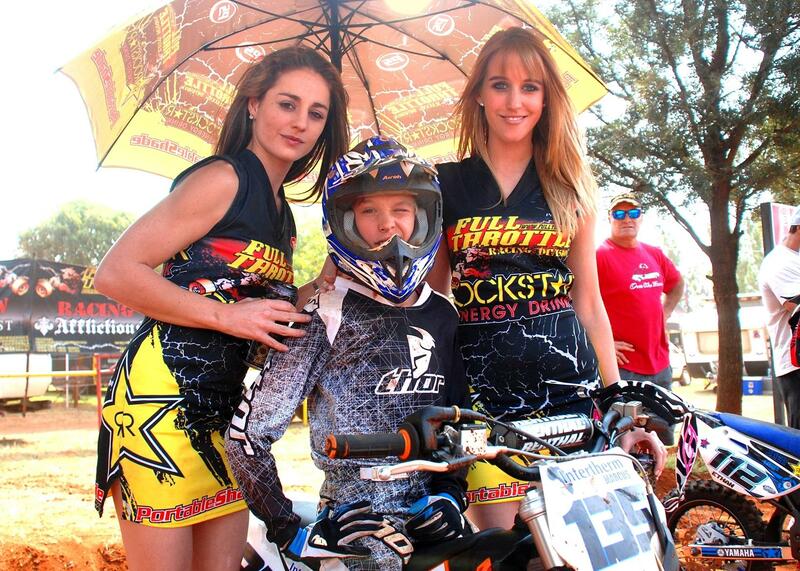 Now 12 years of age, he is an MX veteran already, having been competing in South African events since he was 4. Marcus has been runner up 2 years in a row now in the SA national championship and won the Northern Region 65cc championship in 2010. Though born and raised in SA, Marky is British stock through parentage. His brothers, Nicholas and Sebastian will continue to fly the flag in South Africa whilst he is away in the 125 and 65cc classes, they are a real dedicated motocross family. Both Nicholas and Marcus will compete in this year’s Weston Beach Race, last year Marcus finished 5th in his class. South African Junior Motocross star, 11 year old Marcus Phelps is heading for the UK next week.